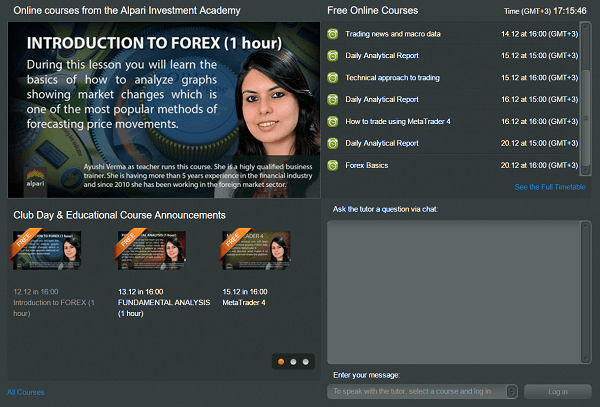 Alpari UK is one of the leading forex and CFD providers in the world and in the United Kingdom. They have been in business for quite a long time, and that proves that they have the experience and the resources required to run a profitable trading firm and more so a financial services firm. They started their firm in 1998 on the 24th of December after a devastating financial situation that had hit Russia, and there was a possibility that the financial sector would not last long after that hit. Alpari in the spirit of growth and development took a step and opened their doors to the public to reassure them that there was still faith in the financial sector and it was bound to grow bigger and better in the long run. In that faith, they shifted their operations to the online platform where traders now would be able to access the best service in a much faster medium, and this took place in 2000. Then in 2002 they offered their demo trading services on a new trading platform then the Metatrader platform, and as the clients got used to this new platform, they insisted on having the live services be shifted to the Metatrader platform, and that was a big step since their clients now had access to making their own trades and thus the feeling of ownership was ingrained into their clients and thus they felt like part of the team. They have also been on the forefront of giving back to the needy around them; they opened their own foundation in 2005 called the Alpari Charitable Foundation, and this foundation has helped many individuals around the world get better living services which have always been the foundation’s rallying call. The foundation was one of the best ways to get their name out there, and in 2006 they set a plan to expand their business to the rest of the world and at that moment they had already acquired 25,000 clients who backed their push for a worldwide presence. 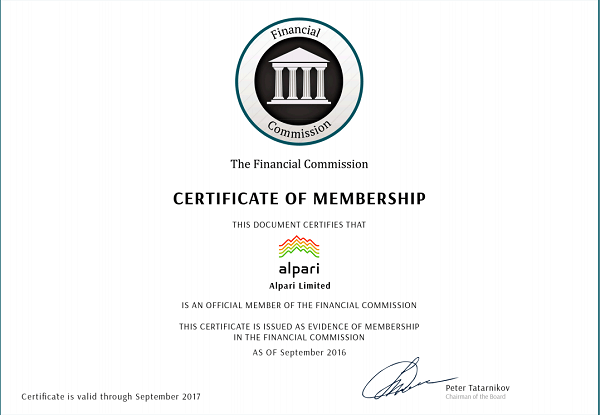 The best way to get worldwide recognition is by gaining the required regulations from the most respected financial regulatory bodies in the world, and that is exactly what Alpari did. In 2006 they received the Financial Conduct Authority license the regulatory body for all financial services in the United Kingdom this license was key to their operations in the United Kingdom and that was a boost for them since they had plans to opening an office in London and this was the best move for them towards that goal. Later, they also were accepted as members of the CFTC and the National Futures Association and in the following year they were certified, and they were given the license to operate in the United States and this is quite an achievement given that the CFTC and NFA rarely give their license to financial firms that are not originally from the United States and given Alpari is a Russian based company that makes it, even more, credibility. Alpari has been on the forefront of providing the best services for their clients from all around the world. They have not grown to over a million clients for no reason. They have a wide range of products and different trading styles fitting their clients liking, they have forex which includes the major, minor and exotic currency pairs, they have the indices, commodities, and for the traders who trade binary options can always feel at home in Alpari. They also have the spread betting services that are offered for a group of traders from a region. The traders in the United Kingdom can use Alpari spread betting services, and they can also be confident that the Alpari spreads are competitive and every trader who prefers spread betting to the other forms of trading will enjoy the experience of trading using the Alpari spread betting package. 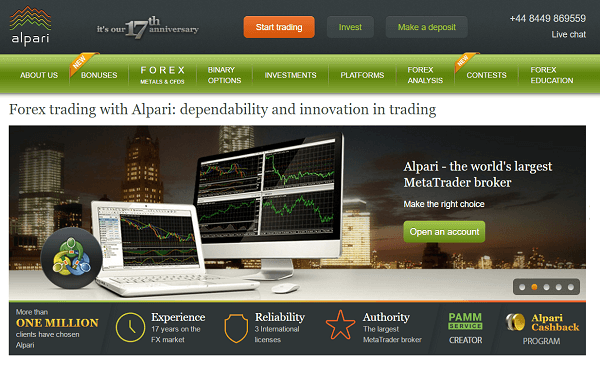 Alpari (UK) from its inception it has been the number one user of the Metatrader platform, they have been one of the most supportive partners that MetaQuotes has had for the years they have been in the business of providing high-quality trading platforms. That is why Alpari has one of the best versions of the Metatrader platform in the world given the improvements they have incorporated into the trading platforms. 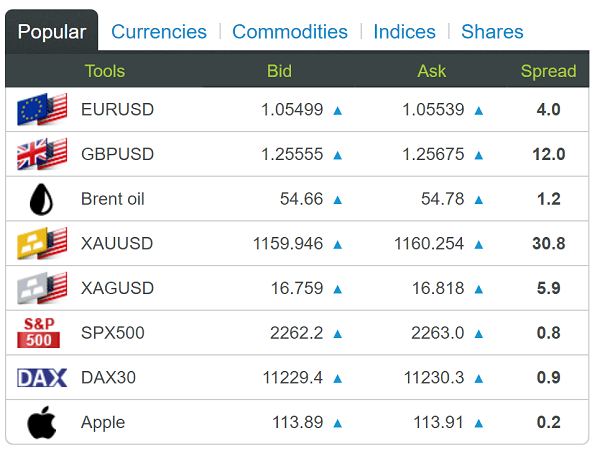 They have the MT4, the recently released MT5, and the binary options trading platform. The MT4 and MT5 have been categorized to give their clients ease when choosing depending on their skill level and the amount of capital they want to invest. The different trading platforms also constitute for the different account options one can have. There is the nano MT4 with no minimum deposit, fixed standard MT4 with $100 minimum deposit, floating ECN with $500 minimum deposit, and the pro-ECN MT4 account with a minimum deposit of $500. They also have the ECN MT5 account that has a minimum deposit of $500 too. All the account types have different characteristics that have been well outlined in their website. It should be noted that all spreads and commissions are based on the account type the client chooses. Alpari has always been clear on their efforts towards giving their clients the best services in the business. They have the broken their services into groups that are fairly easy to understand; the client services, technical services, payment questions and requests, compliance department, investments and they have numerous offices around the world that their clients can visit. Part of their services includes the educational resources that have been made available for their clients. They have the Alpari Investment Academy where their clients can register and start their journey towards being profitable traders.